Talk about a truly unforgettable invitation full of texture and class. 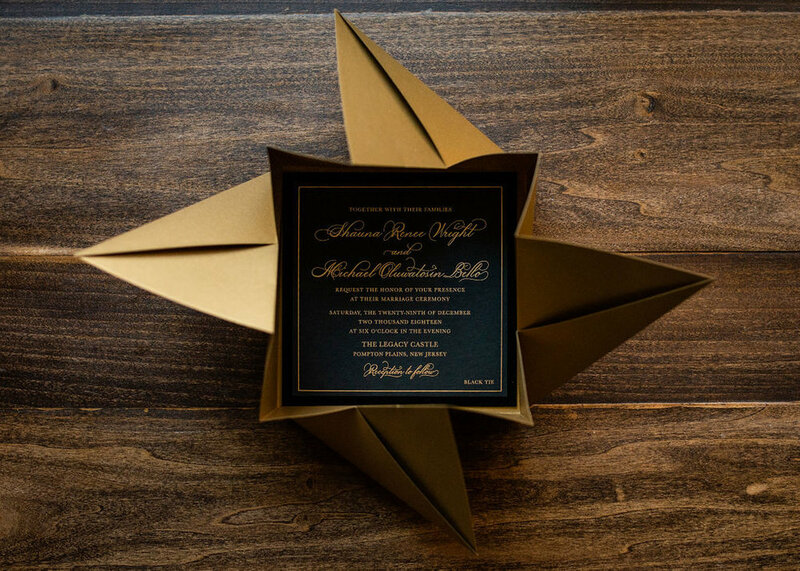 Designed with brilliant metallic gold accents and a gorgeous black velvet accent layer on the invitation insert. The origami pocket neatly stores all of the pieces in the suite and makes for a unique packaging experience.